Home » Science & Technology » Nanotechnology could make our food tastier and healthier - but can we stomach it? 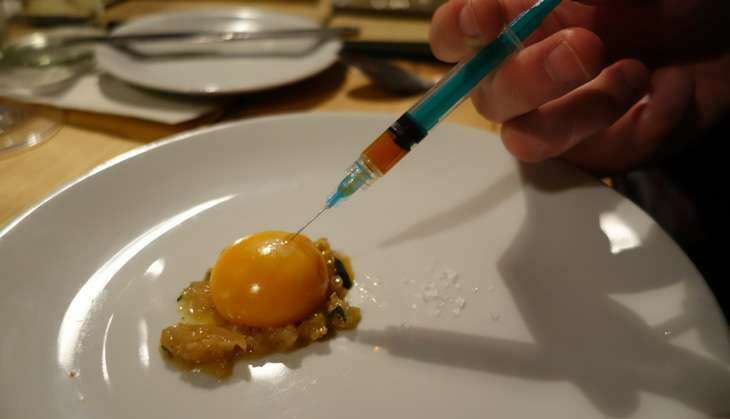 Nanotechnology could make our food tastier and healthier - but can we stomach it? Every mouthful of food we eat is teeming with chemical reactions. Adding ingredients and cooking helps us control these reactions and makes the food taste better and last longer. So what if we could target food at the molecular level, sending in specially designed particles to control reactions even more tightly? Well, this is exactly what scientists are trying to do and it has already produced some impressive results - from food that tastes salty without the health risks of adding salt, to bread that contains healthy fish oil but without any fishy aftertaste. But while this nanotechnology could significantly enhance our food, it also raises big questions about safety. We only have to look at the strong reaction against genetically modified foods to see how important this issue is. How can we ensure that nanotechnology in food will be different? Will our food be safe? And will people accept these new foods? Nanotechnology is an emerging technology that creates and uses materials and particles at the scale of a nanometre, one billionth of a metre. To get an understanding of just how small this is, if you imagine a nanoparticle was the size of a football then an animal like a sheep would be as big as our planet. 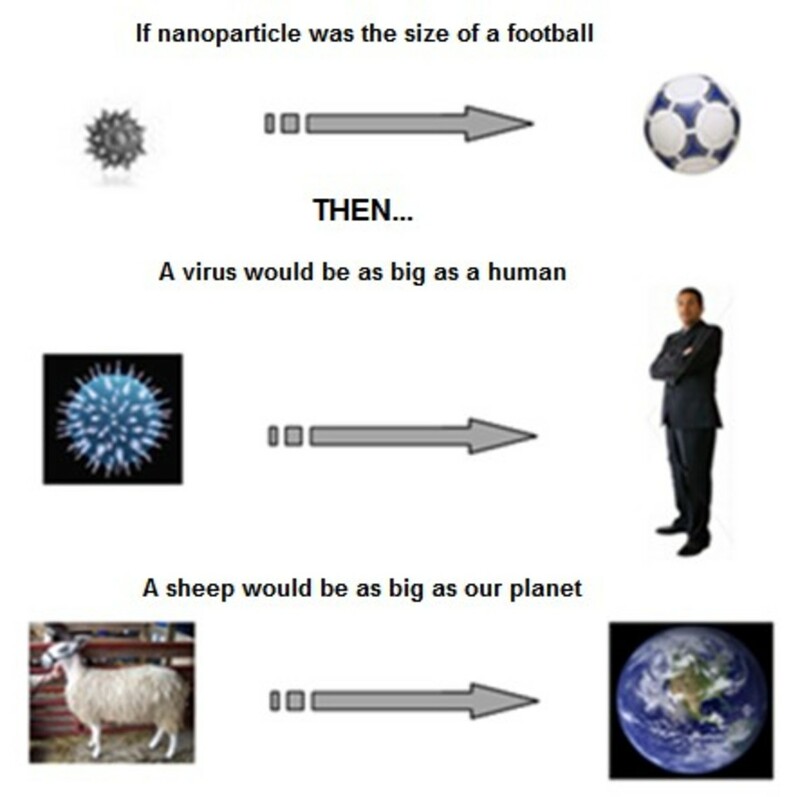 How big is a nanometre? Working with such small particles allows us to create materials and products with improved properties, from lighter bicycles and more durable beer bottles to cosmetic creams with better absorption and toothpastes that stop bacteria from growing. Being able to change a material's properties means nanotechnology can help create many innovative food products and applications that change the way we process, preserve and package foods. For example, nanotechnology can be used for "smart" packaging that can monitor the condition of foods while they are stored and transported. When foods are contaminated or going off, the sensors on the packaging pick up gases produced by bacteria and change colour to alert anyone who wants to eat the food. Silver is already used in healthcare products such as dental equipment for its antibacterial properties. Nano-sizing silver particles improves their ability to kill bacteria because it increases the surface area of silver the bacteria are exposed to. Israeli scientists found that also coating packaging paper with nano-sized silver particles combats bacteria such as E. coli and extends product shelf life. Another example of nanotechnology's use in food manufacturing is nano-encapsulation. This technology has been used to mask the taste and odour of tuna fish oil so that it could be used to enrich bread with heart healthy Omega-3 fatty acids. Fish oil particles are packed into a film coating that prevents the fish oil from reacting with oxygen and releasing its smell. The nanocapsules break open only when they reach the stomach so you can receive the health benefits of eating them without experiencing the odour. Meanwhile, researchers at Nottingham University are looking into nanoscale salt particles than can increase the saltiness of food without increasing the amount of salt. 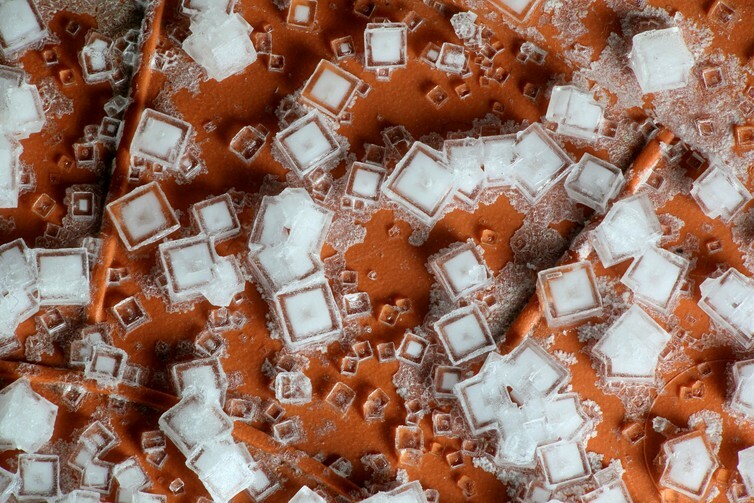 As with silver, breaking salt into smaller nanosize increases its surface area. This means its flavour can be spread more efficiently. The researchers claim this can reduce the salt content of standard crisps by 90% while keeping the same flavour. Despite all the opportunities nanotechnology offers the food industry, most developments remain at the research and development stage. This slow uptake is due to the lack of information about the health and environmental impacts of the technology. For example, there is a concern whether ingested nanomaterials migrate to different parts of the body and accumulate in certain organs, such as liver and kidneys. This may then affect the functionality of these organs in the medium to long term. However, our knowledge of the risks associated with the use of nanomaterials is incomplete. These issues need to be better understood and addressed for the public to accept nanotechnology in food. This will also depend on the public's understanding of the technology and how much they trust the food industry and the regulatory process watching over it. Research has shown, for example, that consumers are more likely to accept nanotechnology when it is used in food packaging rather than in food processing. But nanotechnology in food production was seen as more acceptable if it increased the food's health benefits, although consumers weren't necessarily willing to pay more for this. In our recent research, we found no strong attitudes towards or resistance to nanotechnology in food packaging in the UK. But there was still concern among a small group of consumers about the safety of foods. This shows how important it will be for food producers and regulators to provide consumers with the best available information about nanotechnology, including any uncertainties about the technology.